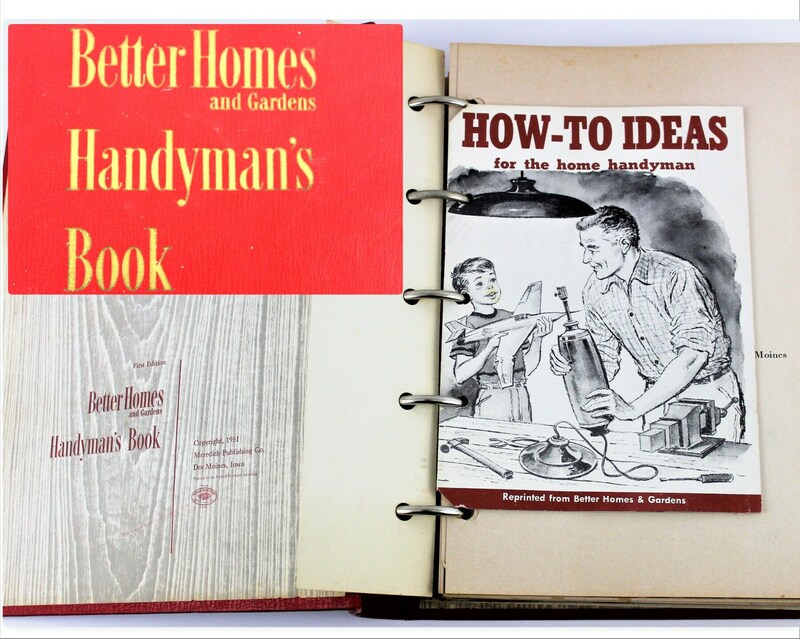 We have for sale a fabulous First Edition Better Homes and Gardens Handyman's Book featuring many tabbed sections assembled into a 3 ring binder. 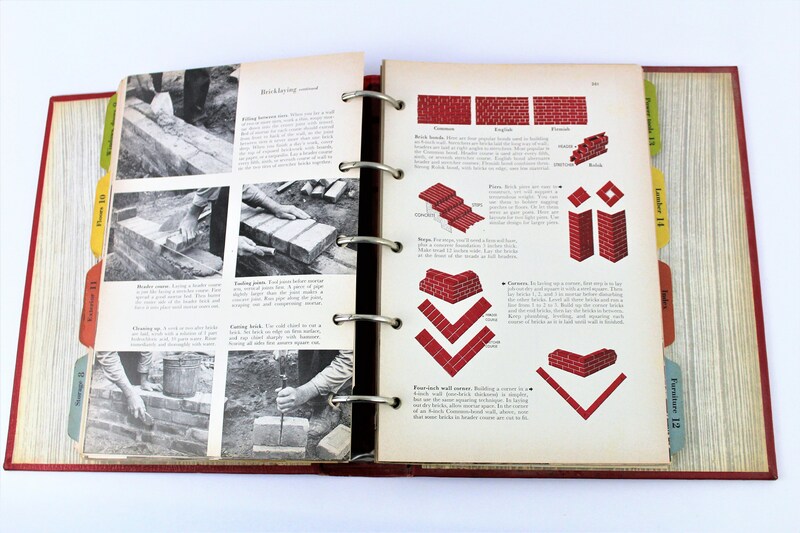 Great vintage graphics! 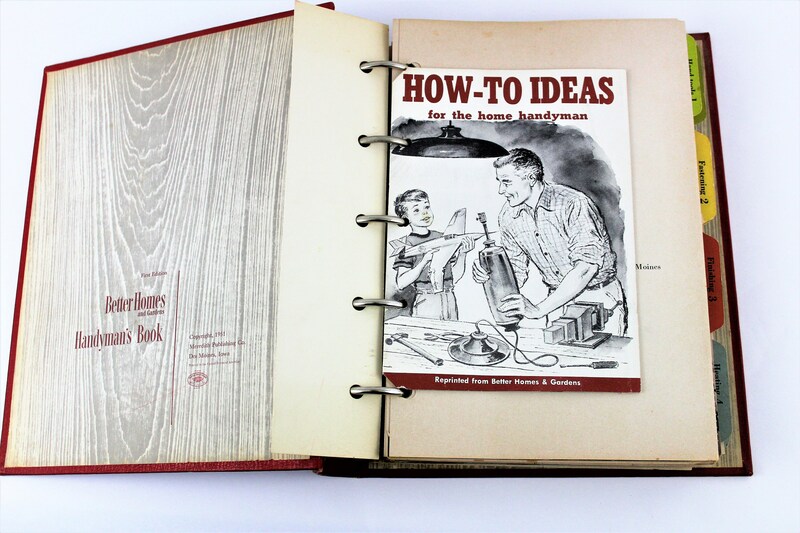 As well as good old-fashioned instructions on how to get stuff done. One page has come loose. No writing, highlighting or other notable flaws. 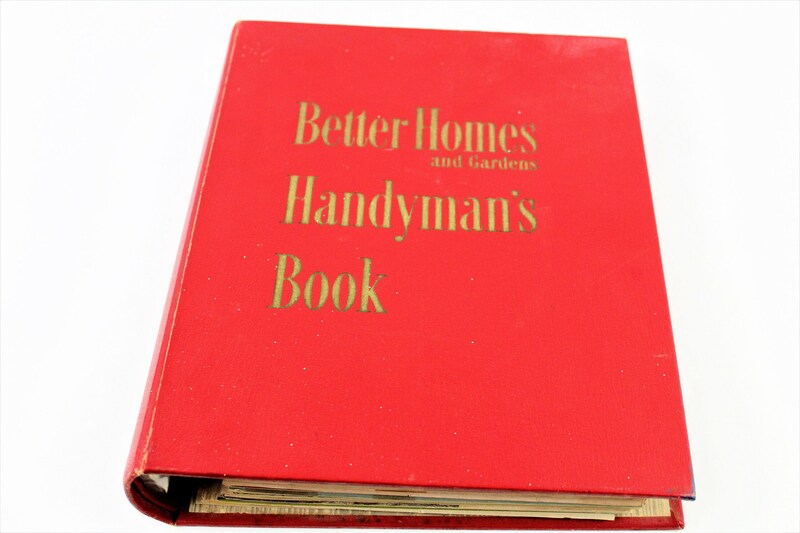 The red cover has some white paint spatters on it which adds to the authentic vintage charm. 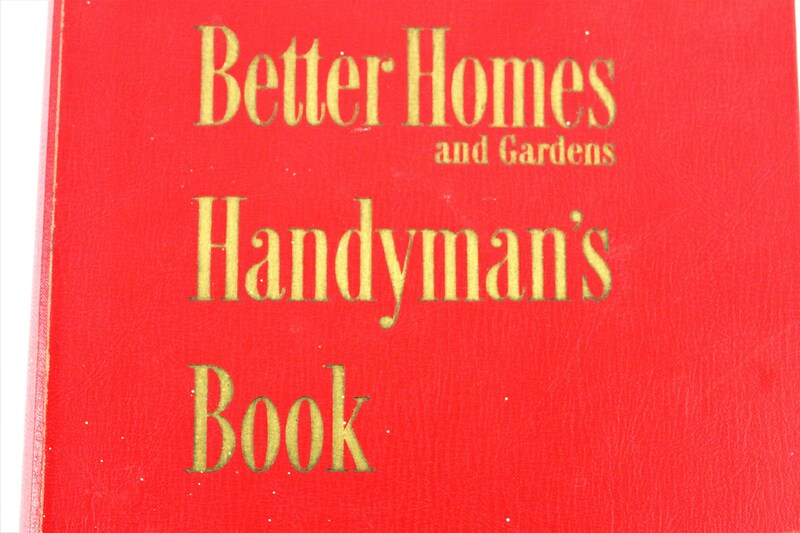 This Handyman's Book First Edition was published in 1951 for Home and Gardens Magazine by Meredith Publishing Company, Des Moines, IA. 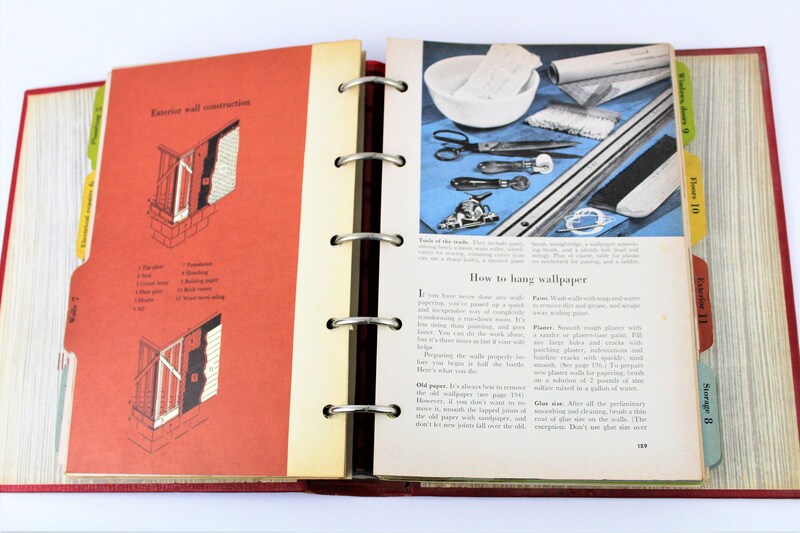 Great as a gift or for your own use. Condition: good vintage condition with some color variations consistent with age, couple paint splatters on cover.